Since Thursday, subscribers of Svenska Dagbladet have been able to access the digital edition as soon as the paper has gone to print. Backed up by push notifications, advertising and editorial mentions, Svenska Dagbladet (SvD) launched a new offer for its readers last Thursday: Download the digital edition at 10 pm, and receive the latest news the day before readers of the printed paper. ”On premiere night in particular, we could note the large amount of interest in the app,” says project manager Martina Vaculík, who is responsible for the development of SvD's online paper, eSvD. The media house has chosen to offer early publication as a service for its readers. ”As mornings are often such a race against time, it's sometimes easier to find a moment to read the paper a little later in the evening,” explains Vaculík. 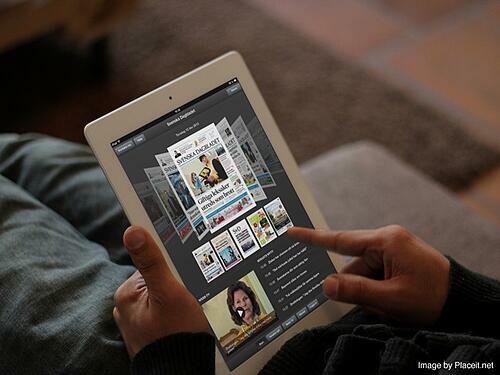 The newspaper readers can download at 10 pm is the first edition of the morning newspaper. Here, the most important news stories and reports can be found; not, however, news of the latest events or the sports results, which come out in a later edition. Readers can find this in the newspaper app in the morning. Svenska Dagbladet (often shortened to SvD) was established on 18 December 1884. The newspaper is the third-largest Swedish morning newspaper, after Dagens Nyheter and Göteborgs-Posten. The newspaper is owned by the Norwegian media concern Schibsted. Lars is Visiolink's Chief Marketing Office and an avid a cappella singer in the world acclaimed Danish choir Vocal Line. He has been a part of the media world for over 30 years.